Veneers are a simple solution to broken, discoloured and uneven teeth. “Instant Orthodontics” – veneers offer an alternative to wearing braces. Veneers are very thin, specially shaped pieces of porcelain that are attached to the front of your teeth to create a beautiful smile. Your smile enhancement can take as little as three to four weeks with a about three visits to the Studio within this time. 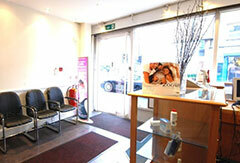 We use high quality laboratories in the UK and on occasion we will have our veneers created in the USA. A bridge replaces missing teeth by fixing a replacement tooth (or teeth) to the natural teeth at each end of the gap. Bridges are often made of metal, porcelain or ceramic materials. Inlays and Onlays are tooth coloured fillings used for larger areas of the tooth. They can also be used on the front teeth to contour chipped teeth. They are tailor made by Dental Laboratory Technicians. A persons teeth may be worn, discoloured and uneven due to: genetics, diet, prescription drugs, smoking, grinding teeth, or soft enamel. These can all be systematically and symmetrically dealt with using Implants, crowns, veneers, tissue grafting and laser gum reduction. 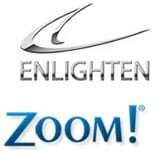 Teeth Whitening with ENLIGHTEN and ZOOM! Teeth Whitening can make you feel more confident and transform your life. It can even give your career a boost! You will have guaranteed whiter teeth in around one hour. 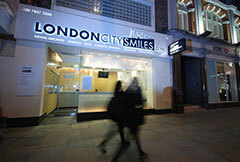 The procedure has been clinically tested to be one of the safest ways to whiten your teeth.